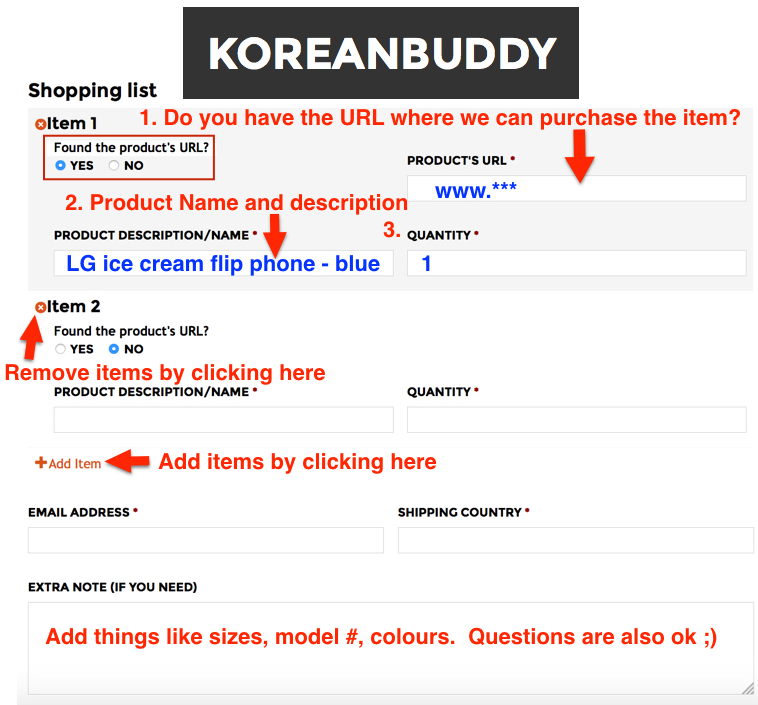 In this guide I am going to show you exactly how to find specific items, decide on product options and the get the required information to order off of Bullang Girl (불량소녀) using KoreanBuddy. This site claims to be Korea’s No. 1 online fashion site for teens and 20 somethings. And by the number of reviews and active community they do seem quite popular. The prices are really good as is the selection. This site is available in Korean, English, Mandarin and Japanese. I do recommend using the site in your own language, but like all other fashion sites, the prices are much higher on the non-Korean sites. Between 8%-30% higher. The English site is pretty good in terms of translation, but the Japanese and Chinese sites are still mainly in Korean and English. They just changed the prices to local currency. If you do use the non-Korean sites, when entering the information into the order form on KoreanBuddy make sure to include the 1. URL of the product 2. The product description which in this case is the product code (for example: P000BDIM). 3. Enter the product options like size and color and finally 4. The quantity. I will find the same product on the Korean site for you can save you 10%-30% right away. As always if you order products off of multiple websites, I will receive the products here in Korea, pack them into one box and ship them directly to you to save a lot of international shipping fees. On sizing, many of the outerwear is free size meaning one size fits all. Korean Free size fits up to about a size 10 US, 40 UK and L (40) Japan. 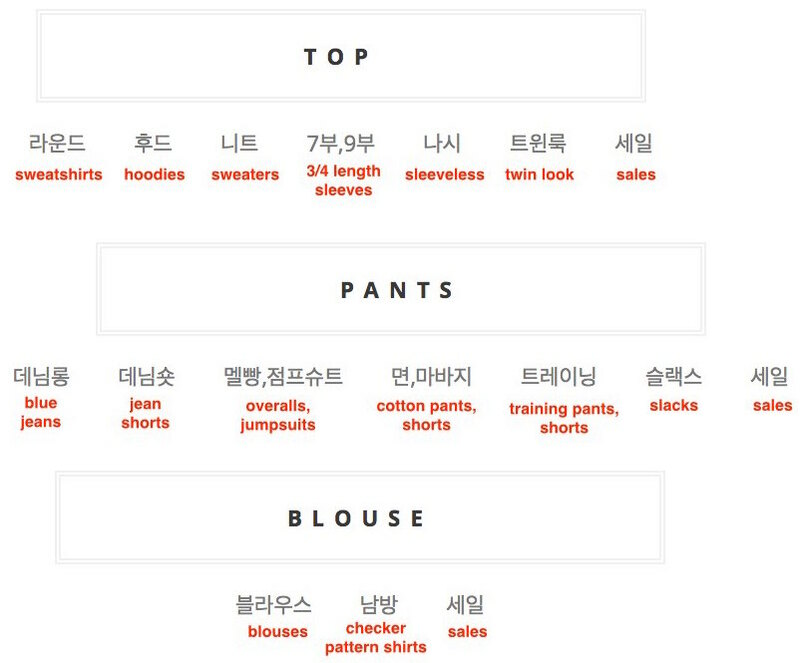 Many other clothes are regular Korean sizes 44, 55, 66. For more help on sizing see international size comparison charts. 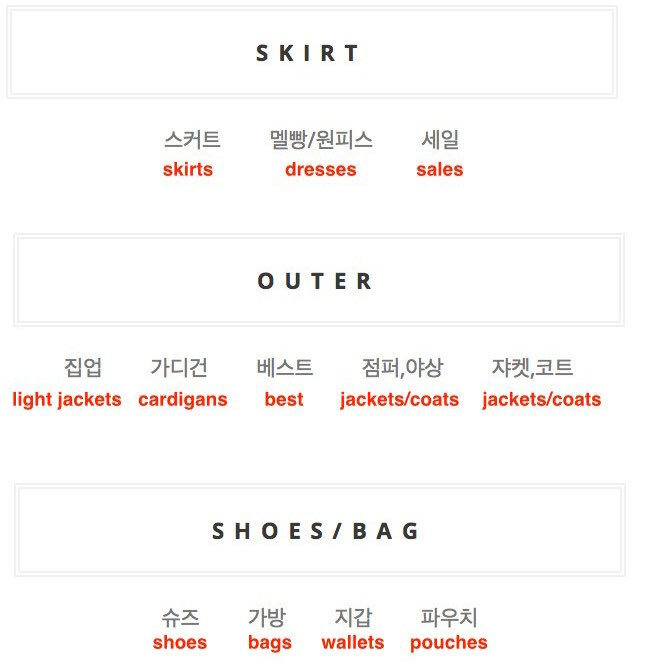 I am going to translate and explain the menus on the Korean site so you too can browse for the best prices and clothes. You can also find more translation in our fashion glossary. If you have any questions about this site, send me a message on the chat and I will get back to you quickly. As you will see, the main menu is in English, but once you click a category every is in Korean. The sale category on the right has a lot of good prices but those are clothes from the previous season, i.e. summer clothes in fall. Bags – Let’s look a new bag for the new school year. I click on shoes/back from the main menu then I have to choose bags ‘가방’ in the sub-menu. After this if you scroll down past the 2nd row of pictures to the 3rd row of pictures you will see how many items are sorted here and also have a choice to sort them by lowest price, highest price, name, newest and best. I’m not sure how they are sorting the bags by name. These sorting options are available for all product types. 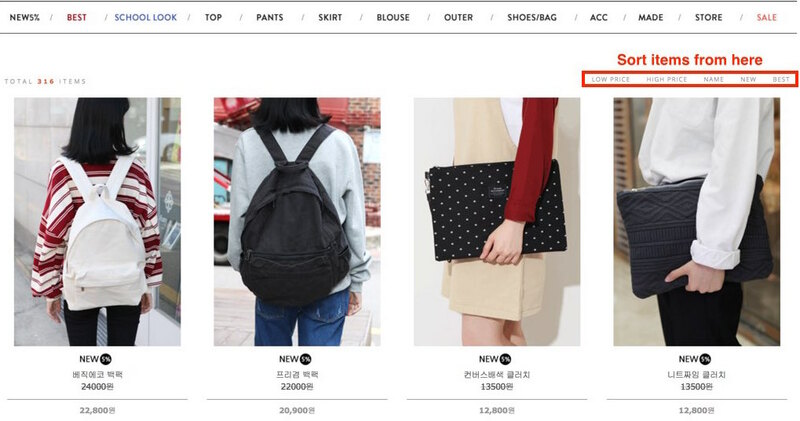 I am going to click ‘best.’ This bag isn’t really my style but it got all 5 star reviews at the bottom of the page and the price is right at 13,500 won ($11.50) on the Korean site and $15.23 on the English site, $14.60 on the Japanese site. To order this bag on KoreanBuddy 1. copy the URL and paste into the order for on KoreanBuddy 2. The product description which in this case is the product code. (for example: P000BDIM) 3. Enter the product options like size and color and finally 4. the quantity. At the very bottom of each page, below the reviews, you can see the ‘with items,’ these are some of the clothing items the models are wearing in the pictures. This site is good because lots of customers leaves good pictures are reviews of the items, and there are tonnes of pictures of the models with the products. The ‘view item’ widget on the very right hand side of the screen is cool. It keeps track of all the items you have viewed today and you can click the up and down arrows to review the items you’ve seen and go back to those pages. The widget is on the Korean site too, but the moving menu keeps dropping too low for me to use it. I am using Firefox and Chrome browsers and they both don’t seem to keep the widget on the screen. If you want any reviews translated or have any questions please send me a message on the chat and I will get back to you quickly. Translated Sub-Menus (because I want to save you money!) – click to see larger images.